She finally decided that the best thing for her to do was not be with either Liam or Bill, and instead focus on being alone for a while. 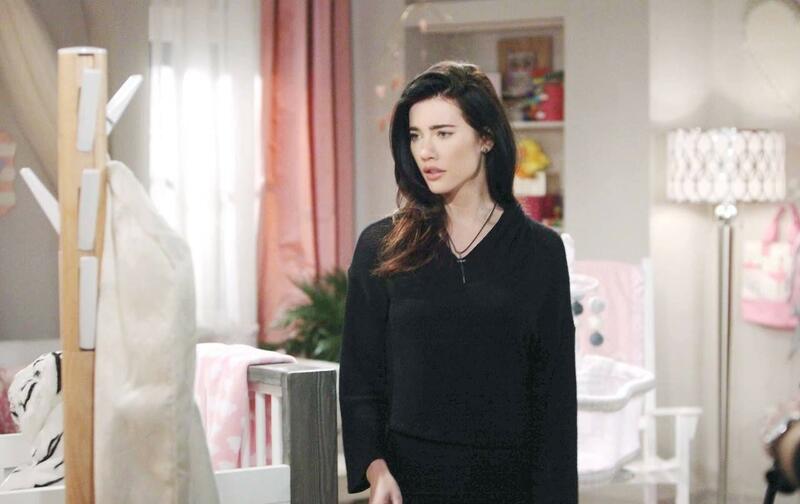 Now, a newly independent Steffy will return to Forrester and make a big announcement regarding the future on the Thursday, August 2 episode of "The Bold and the Beautiful." After seeing Liam (Scott Clifton) and Hope (Annika Noelle) together, Steffy (Jacqueline MacInnes Wood) made a rash decision to do whatever it took to get Bill's (Don Diamont) Forrester shares—including marrying him. However, when Bill tried to push her into becoming his wife sooner rather than later, Steffy balked on the CBS soap. In the end, she decided marriage to him wasn't in her best interest, and since she is done with Liam, she opted to just be by herself. [post_ads]Now, resolved in what is right for her, she will head back to Forrester to make a big announcement to everyone in the company. However, before she does so, she will admit that she has changed her focus in life and that she is doing the best thing for both her and her daughter, Kelly. "My biggest commitment will always be to myself and to my little girl," she says in a preview clip for the episode. Then, she will likely inform the staff of what she is planning to do, revealing that she will be able to do what she is because she now has the controlling shares of the family company. While Bill was heartbroken when she left him, he still insisted on giving her the shares she requested. Now, with those in hand, Steffy will be able to make some big changes in the company. Whether she uses this new power to get revenge on Liam and Hope or to make other changes at the company, remains to be seen. Meanwhile, Liam will continue crashing at Wyatt's (Darin Brooks) and will admit to his brother that he's appalled by how Steffy reacted to what happened and that she would ever consider being with their father at all after everything he's done. "How could she marry him?" He asks in the clip. "After everything he's put her through? After everything he put all of us through?"